Arvada Square Auto is a full-service auto repair shop in Arvada with 36 years of experience. Offering every automotive service, you could need from a mechanic shop, we do everything from oil changes to engine and transmission work. One of the leading car repair shops in Arvada, Arvada Square Auto has a reputation for having the best customer service out of any Arvada auto shop. Our automotive mechanics and service consultants are highly qualified as well as courteous. If you need a mechanic in Arvada, ours are ASE Certified. 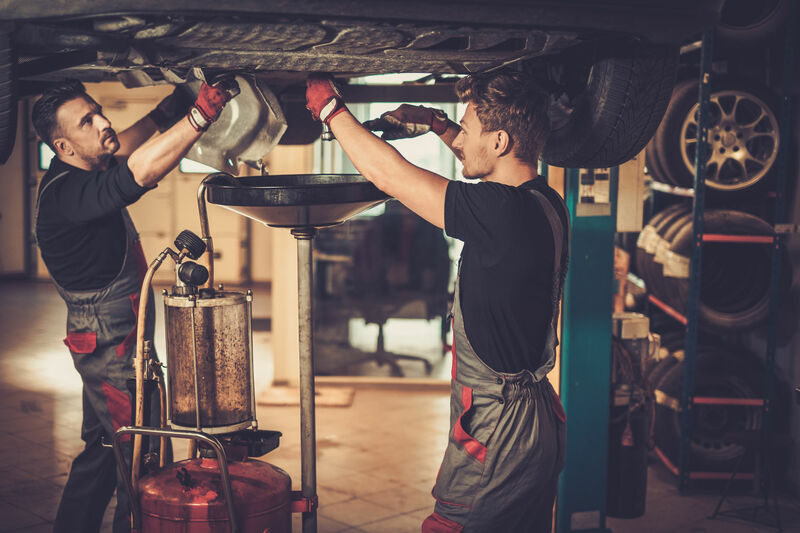 If you need auto repair in Arvada, choose the Arvada mechanic shop with certifications and experience: we also feature a Master Automobile Technician, Advanced Level Specialist. We’re the most trustworthy and reliable auto shop in Arvada. Arvada Square Auto has been AAA Approved Auto Repair accredited for nearly 20 years-- since 1999. Arvada Square Auto has been BBB Member Accredited since 1993. We have received the Better Business Bureau’s Longevity and Gold Star Awards. Arvada Square Auto has also been Napa Auto Care Center Member accredited since 1998. Our auto repair shop can handle anything that your car might need. Arvada Square Auto is the most reliable car repair shop in Arvada. Give us a call or stop into our mechanic shop in Arvada to see the difference. Our mechanics will give you the best service you will ever get at a car repair shop. At Arvada Square Auto, we have been the premier auto repair shop in Arvada for over three decades. We’re the only auto shop you’ll ever need – our Arvada mechanics can perform everything from a simple oil change to complicated transmission repair. Our car repair shop also offers the best prices and the best service in Arvada. Give us a call to set up an appointment or come by our mechanic shop to see why we’re the best in town. Regardless of what auto repair your car needs, we can take care of it. Look no further for a reliable, trustworthy mechanic in Arvada. Our ASE-certified technicians will take care of your auto repair and get you back on the road. We have been the best auto repair shop and mechanic shop in Arvada for 36 years and we don’t plan on stopping any time soon. Come by the auto shop and let us show you why we’re the best auto repair professionals in Arvada. Learn more about the services we offer, call us for an appointment and come into our Arvada shop.